astrid.prasetya: Red as a chili pepper, not spicy though..
Red as a chili pepper, not spicy though.. 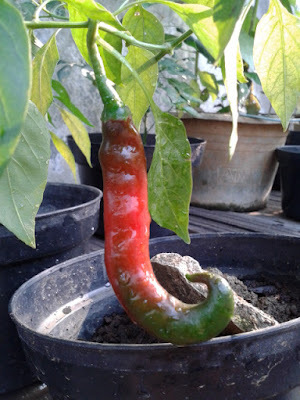 I like chili peppers, and sometimes they are expensive at the market.. So I cultivate them. So at first I was unsure whether this was a green chili or will it turn to red. 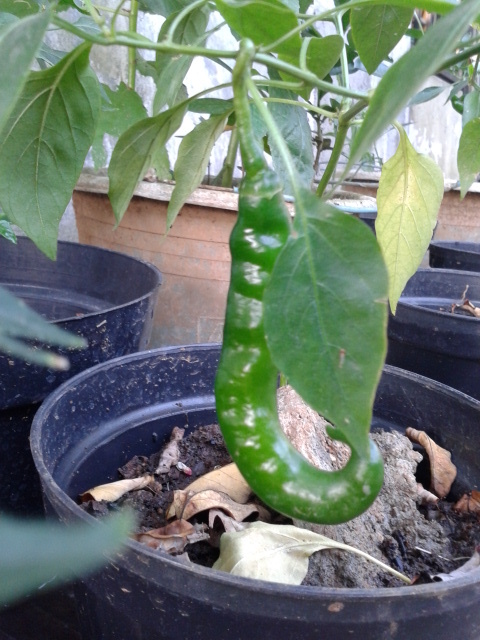 It was already several days past by and the chili remained green. Then one day.. it happened! It changed its color! And then at last it was completely red! 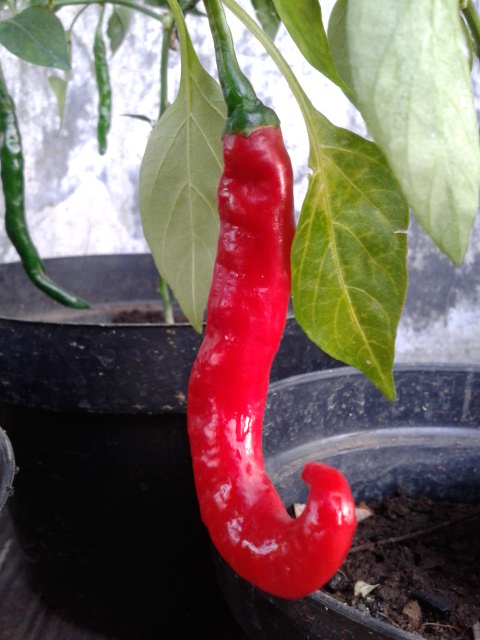 The most beautiful red I've ever seen in my life..
Cucii tangaan biar bersiiihhh .. la la la..